Engineered to define, our Seamless Tank is constructed with a unique knit technology where sweat-wicking meets style. The cutting-edge design delivers a tight, comfortable fit, complete with sculpting textured panels – created to combat any workout. Say hello to Seamless – your lightweight second skin. Constructed for performance using super-soft yarns, its unique knitted contouring delivers the ultimate in shape enhancement. Rivals if not beats other major gym clothing brands. This vest fits absolutely perfectly! I am 6ft3 and about 200lbs and the size large fits like a glove, complementing my physique. I will be ordered more MP clothing after being so impressed with this item. 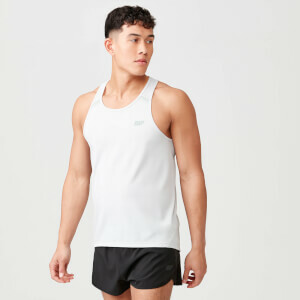 Ridiculous price for a tank top, more expensive than established brands in this area of clothing, for example Under Armour. Stick to your market and produce value for money. Really nice fit, lightweight and feels great. I have it in navy and I’m tempted to buy another! Been through a lot of training gear in the last 20 years and these are probably the best tops I've ever used. They fit really well and what I like is they are very long, so they stay in place when doing Chins or any kind of overheard work. They wash brilliantly, I've had them over 6 months now, I train everyday and they still look and fit like brand new. Only downside would be the RRP which puts them up against any other brand in the high street but these are better than any of them quality wise and as we know MP have constant sales and discounts... They look great too, what more is there to ask of a vest top? 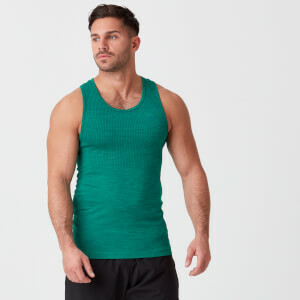 A very nice tank thats great for the gym. Material is very comfortable and stays that way throughout training. Drys quite quickly and washes well! The feel and look of this vest is brilliant would recommend to anyone!! Lets face it tanks are for delts day. great fitting top, and good colour. Why do red in the other styles? fabric is really something else, feels so premium and on another level compared to previous Myprotein clothing. Love this new line. Serious step up for Myprotein. Have a few of these new items and really impressed with the fit. Need to bring out some more colours?